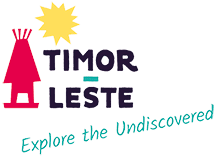 Guided small group trekking and adventure tours of Timor-Leste with 4WD vehicles and experienced local guides. Options include their three day itineraries to Jaco Island, Ossu/Mundo Perdido, Mt Ramelau, Mt Matebian and Bobonaro/Marobo Hot Springs. Dili day tours also available.